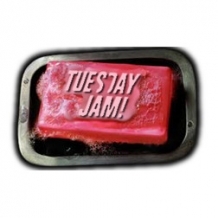 Jam league meets 8 PM every Tuesday at Pinballz Arcade (8940 Research Blvd, Austin, TX 78758). Just show up and let us know you want to play! Everyone can play! Separate finals divisions of 6-10 players with cash prizes for all skill levels. Do your best all season and play in finals against opponents that did as well as you did! Three week best game format - one game on five machines chosen by lowest ranking players that week. Week four gauntlet finals. If you're new, have a game pick in mind - you choose what everyone plays! Cost: $6 for the month or FREE to play as a guest! $5 of your entry fee goes to the prize pool, with the remaining dollar supporting the IFPA North American Championship Series. Does not include cost to play selected games (~$4 per night).